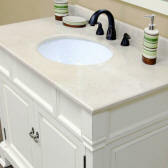 42 inch wide Antique White Bathroom Sink Vanity with a solid slate Hand Polished Cream Marfil Marble Counter top and oval under mount white ceramic sink (included) for a perfect smooth finish. 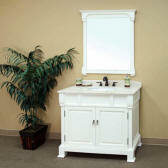 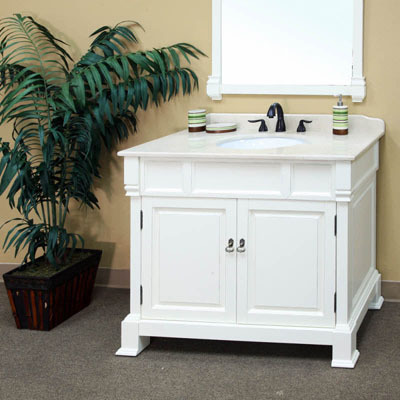 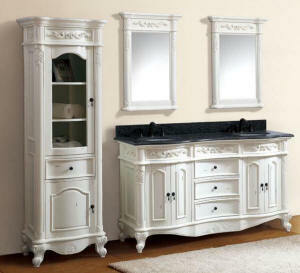 This sink chest features a 2-door vanity storage space and ships fully assembled. 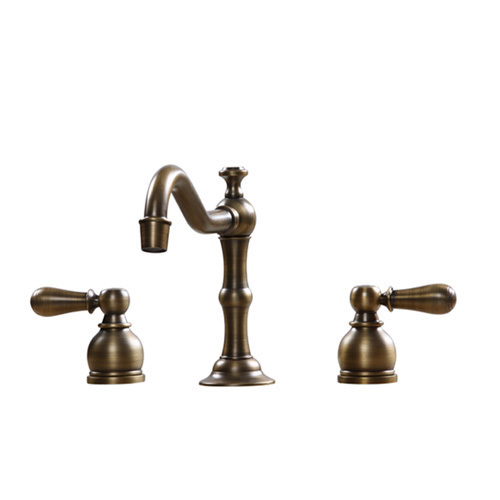 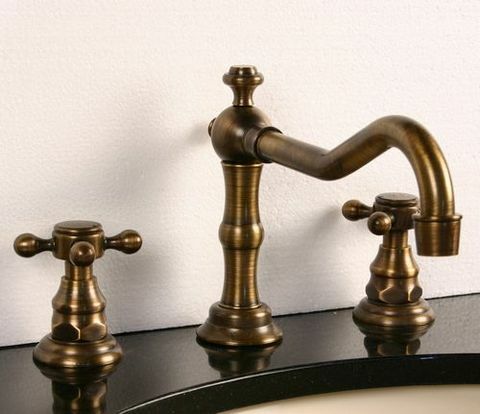 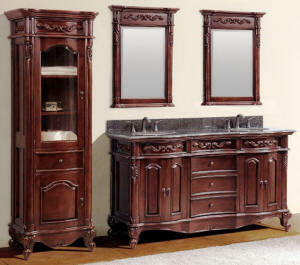 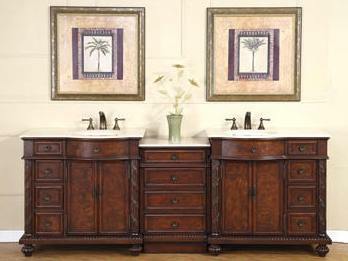 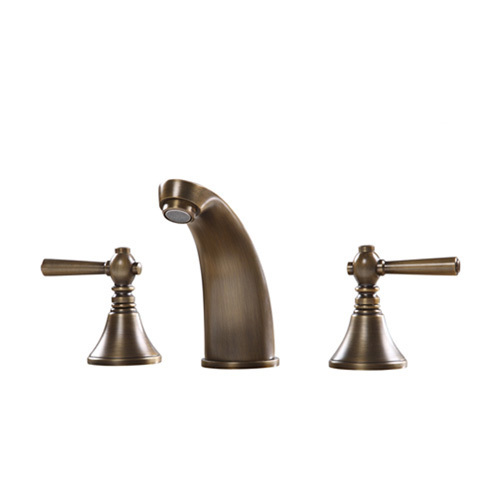 Includes attractive wood frame Matching Set Wall Mirror, Marble Backsplash and door hardware. 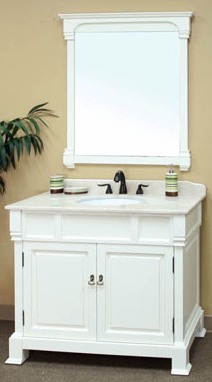 Constructed of Solid Birch wood, no MDF. 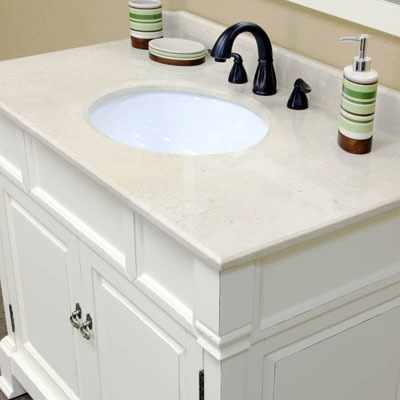 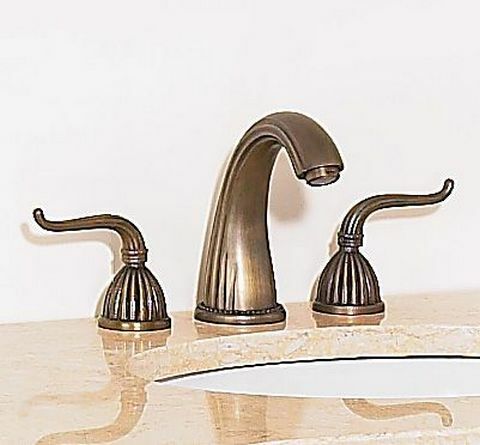 Price includes Cream Marfil Marble Counter top, matching Backsplash, white sink, matching set Wall Mirror and door hardware as shown in product photo. 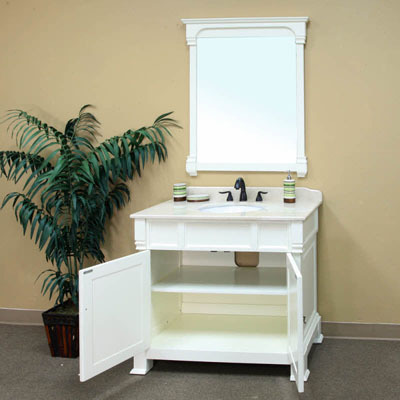 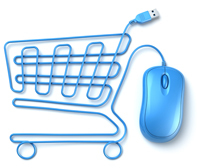 Overall Dimensions W=42" D=22" H=36"
Generally in Stock. 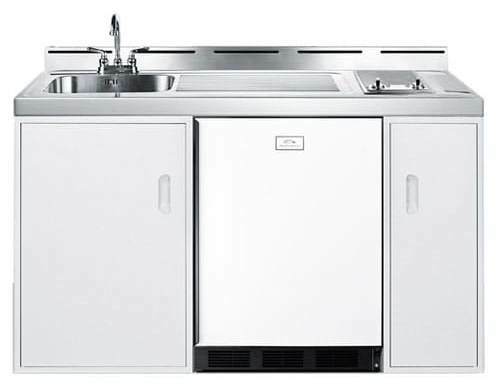 Ships out in 2-3 business days!